There are many surfing beaches in Costa Rica. Some are perfect for beginners that are just learning how to surf. Others are best for intermediate surfers with some experience. There are also quite a few big wave beaches that are better suited for old pros. 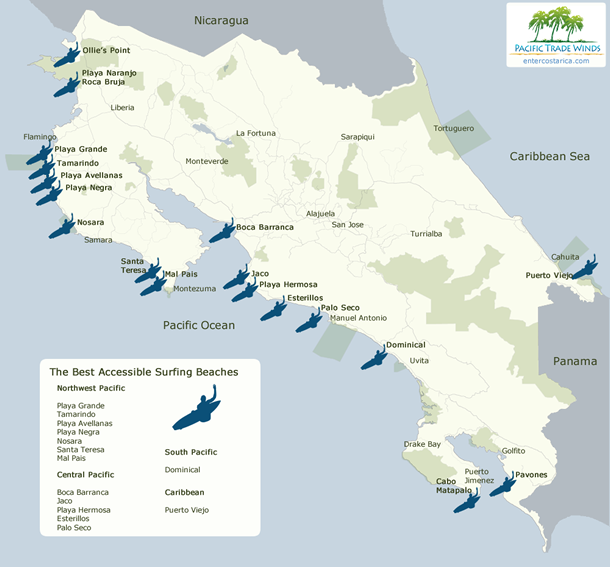 Check out our detailed surfing guide and map of Costa Rica surfing beaches for more information.